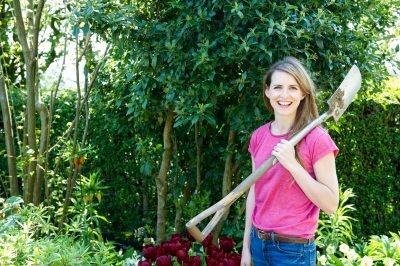 As gardeners, we need to think ahead to make sure our gardens will look their best all year round. During autumn, we’ll be ‘closing down’ the garden for winter, but this doesn’t necessarily have to mean a bare, grey plot. With a bit of savvy planting now you’ll be able to enjoy colourful blooms through the colder months too. 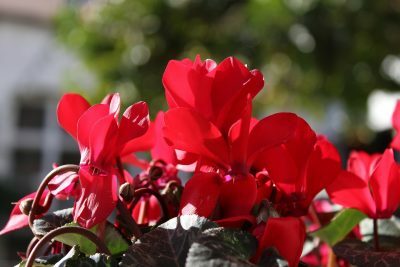 Garden centres are usually stocked with great winter bedding plants like cyclamen, pansies, violas and primroses which should stand up against winter weather unless there’s a prolonged freezing period. 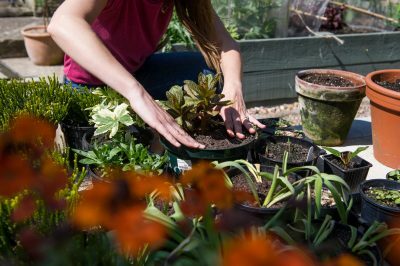 Stock up on plenty – you can plant them closer together as they don’t need as much room to grow as spring and summer plants. 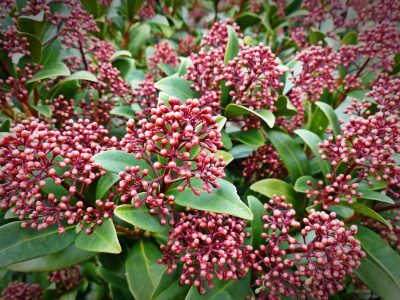 Evergreens like sedge and grasses, skimmia and euonymus provide a lovely foil to the bright blooms and will help the plants go further too. Drainage is a really important consideration for winter bedding, as this time of year can be much more rainy. Cold, wet roots can cause your plants to rot. It’s a good idea to mix some grit or perlite into your compost to improve drainage, and make sure your chosen pot has drainage holes. Place the pot on a stand or pot feet to further improve the free flow of moisture. For hanging baskets, try synthetic moss rather than waterproof liners. Make sure you choose a sheltered spot for your winter bedding pot – don’t just plonk it in the middle of your patio! Choose a place close to a wall where the pot won’t be exposed to excess water like standing puddles, leaky gutters etc. Choose your favourite pots and fill them to around 10cm from the brim with multi-purpose compost mixed with fine grit or perlite. I like to choose a nice big container, so that I can fit in lots of different types of blooms for a dramatic display. Remove your plants from their pots, gently teasing out the roots if they are pot-bound (where they’ve grown to fill the whole pot). Arrange the plants on the surface of the compost in the pot. I like to place taller plants, grasses and evergreens towards the centre or the back of the pot (depending on how I’ll be viewing it), and smaller blooms around the edges or at the front. Fill the pot with compost until it’s level with the top of the rootballs. Gently pat down the compost so that there are no pockets of air, but not so much that it’s totally compressed. Water in well. If the surface of the compost settles unevenly, top it up with a few more handfuls. Place the pot where you can easily enjoy it – in a sheltered spot next to the back door, maybe, or in a quiet corner. When the colourful display is over, you might like to transplant the plants into your flower beds, where they’ll bloom again and again.